I'm always amazed by the beauty and variety of Native American jewelry, especially vintage pieces. 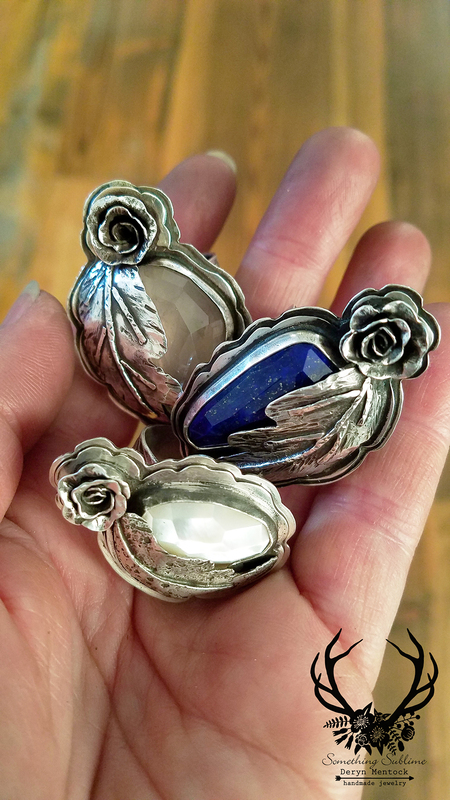 For this design, I was inspired by classic Navajo silversmith designs using flowers and leaves...but I've added my own unique twist! 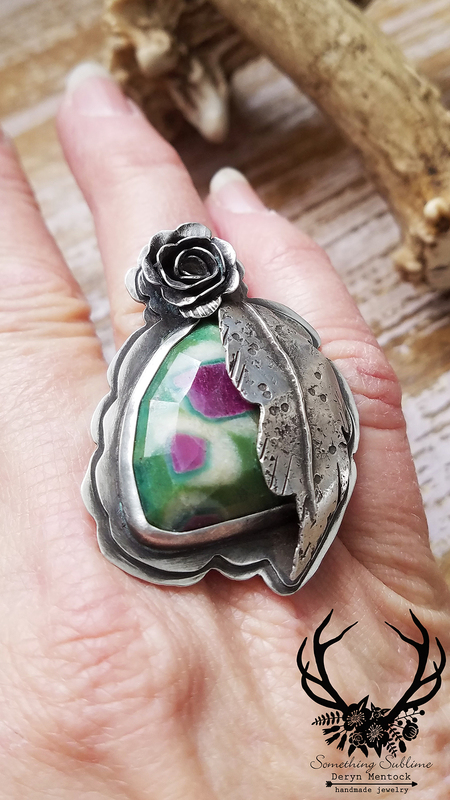 Join me for this two day workshop where we'll explore fabrication of a lovely, nature inspired Rose Ring. Every element will be created, by you, in class. I'll show you how to saw out your band, double base and leaf, as well as how to create the rose. Both the leaf and rose can be textured for a more organic effect. I'll also show you how to texture your band using metal stamps.Youâ€™ll learn how to sweat solder and how to solder dimensional items. 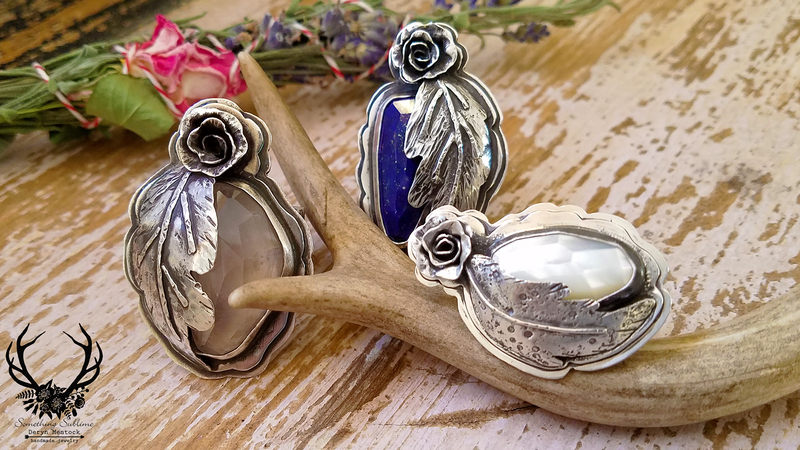 You'll bezel set a gorgeous, faceted, freeform stone and learn how to patina and finish your piece. I'll be providing one stone for each student and will have some extra stones available for sale in class. I'll have a variety of different stones available; not just the pink rose quartz you see in the sample. Please email me with questions: mocknet@sbcglobal.net.